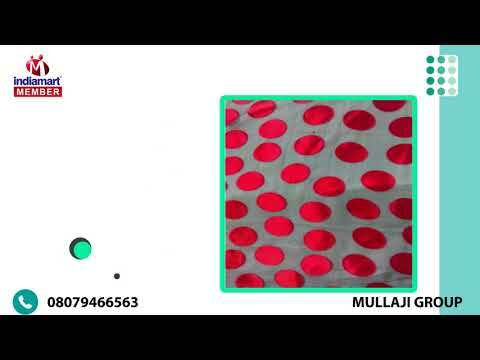 Established in the year, 1979 we, 'Mullaji Group' are a preeminent organization involved in manufacturing, wholesaling, trading and exporting a elegant ambit of Fabric like Burnout Brasso Fabrics, Satin, Georgette and Chiffon. In this range we are offering fabrics such as Polyester, Lycra, Nylon Satin, Nylon, Polyester Georgette Fabric, Polyester, Nylon and Polyester Catatonic Chiffon. Besides we are instrumental in offering Polyester, Satin, Micro Crepe, Brocade & Silk Chiffon, Printed Satin Fabric, Chiffon Fabric, Georgette Fabric, Crepe Fabric, Cotton Fabric and many more.